Here's the video promoting this year's UK Cycle Show: I find it rather sad. But at least they seemed to have slightly softened their image from last year. Obviously the move from London to Birmingham has made them adopt a more relaxed style, as it should. 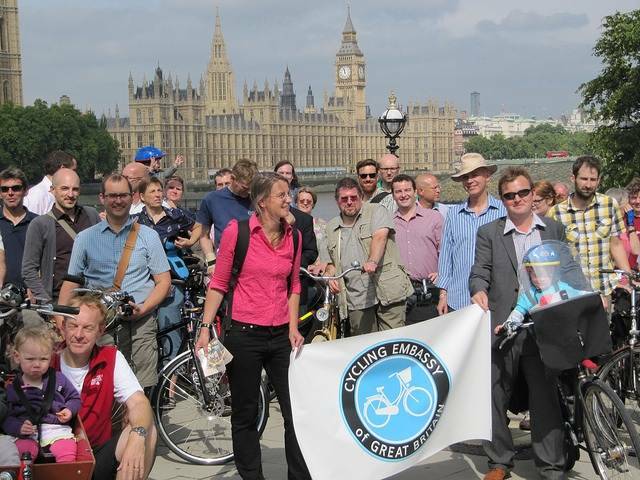 So to cheer us up after that, here's a video I made on the Cycling Embassy of Great Britain study tour last week, led by David Hembrow. It shows the going-home school run outside some schools in a newish suburb of Assen, in the Netherlands. Helmet? Where? And note the lady with three kids on her bike at 2:36. This is normal for the Netherlands. We saw similar scenes on this brief trip outside other schools in both Assen and Groningen. 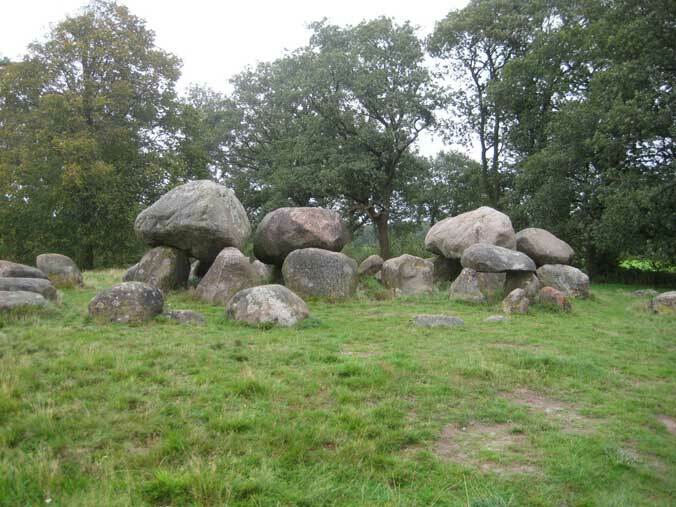 This is so unremarkable in the Netherlands that we had difficulty in explaining to the curious youngsters what exactly we were doing and why we were there. Why would we want to photograph them going to and from school on bikes? What's so surprising? It was like Dutch people coming to an English town and filming people getting on and off buses – incomprehensible to them – why would we bother? David Hembrow assured us that 100% of school children travel to and from school by bike in Assen. One hundred per cent. Well, probably give or take the odd one who can't for health reasons. This is higher than in the big cities, it is true. In Amsterdam the figure is 60%. They go with their parents or they go on their own. They start cycling to school on their own typically from the age of eight. This is a source of worry to the Dutch authorities – but not for the reason that you think. Because the average age at which they started going independently on their bikes used to be six. So the worry is that parents are no longer allowing children to go on their own so young, so that indicates parents no longer believe it is as safe as once they did, rightly or wrongly. Which is why the authorities in Assen and other Dutch towns are spending even more money to upgrade their cycle infrastructure even further, particularly where schoolchildren use it. Making it even safer, separating it even more effectively from all traffic. The Dutch are constantly working, battling, to increase that vital feeling of subjective safety for all cyclists, young and old. We saw constant evidence of this during our trip. Constant rebuilding, resurfacing, improving. Widening cycle paths, redesigning junctions, moving roads, building bridges, digging tunnels... bloody hell, moving a whole canal sideways to allow good cycle paths on both sides of it. It is phenomenal. Nothing seems to be too much trouble, too much expense, just to allow children to safely and conveniently cycle to and from school. The incredible triple cycle bridge in Groningen is just another example of this. 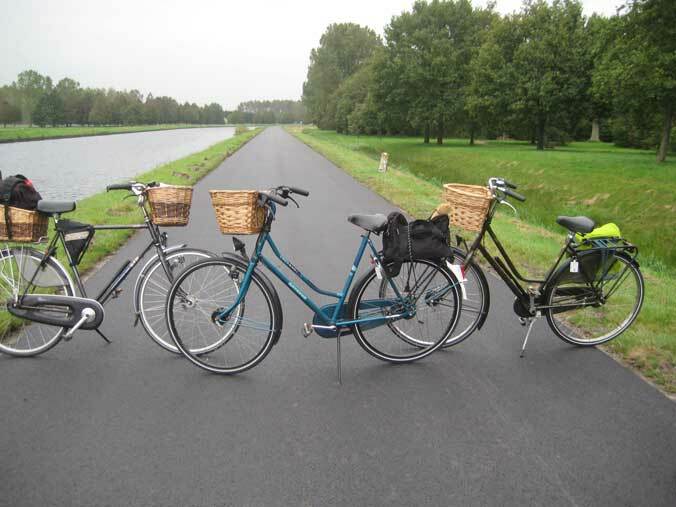 This is the cycle track for the purpose of building which the canal was moved 2 metres to the left, as seen in this shot. 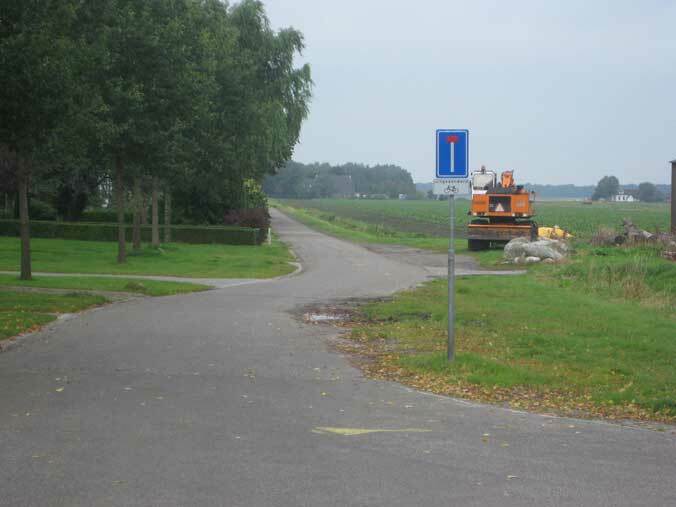 This is the secondary cycle route, adjacent to the road. The wider, primary cycle path along this canal, with no road alongside it, and therefore even higher subjective safety, is on the other side. This path was built and the canal moved just so that cyclists on this side did not have to cross from one side of the canal and back to use a good-quality path. Note how the road gives way to it (the meaning of the tooth markings). Back home, the London Cycling Campaign is launching shortly its major campaign for the 2012 mayoral elections in London, Go Dutch. This will be an explicit campaign for London to have the sort of cycle infrastructure you see in these pictures: segregated, completely motor-traffic-free, high-priority, direct cycle tracks alongside roads. I was discussing this last night with a very well-known LCC campaigner. He does not really agree with this campaign theme, though a large majority of the membership (who voted) asked for it. 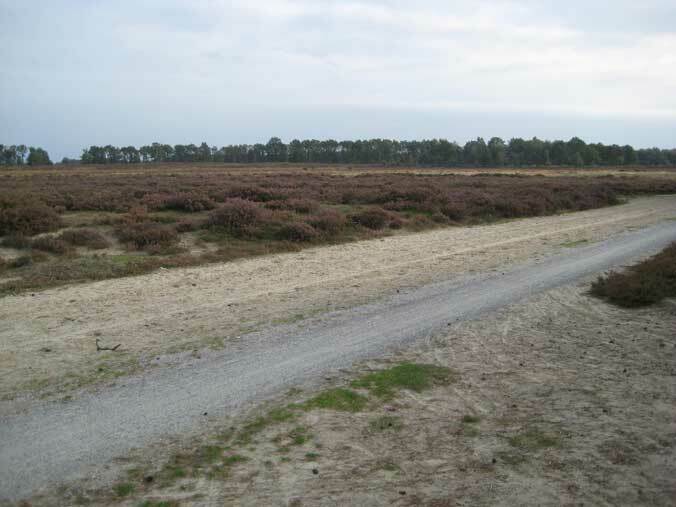 For he believes that the undisputed very high rates of cycling seen in today's Netherlands are not due to the provision of cycle paths and tracks. He believes there is "no evidence" that the building of segregated cycle tracks in the Netherlands ever increased cycling rates. He believes the high rates of cycling are, if I understand him correctly, due to two other factors: 1) that the Netherlands always had a very high cycling rate, and 2) that the town planning in the Netherlands has favoured the bike by reducing the need to travel long distances, as compared with other Western countries. Now it is certainly true that, throughout the twentieth century, the Netherlands did have a very strong cycling culture. The recent video from the newly-launched Dutch Cycling Embassy does emphasise the decline in Dutch cycling in the mid-20th century, but even so, it is the case that, at its nadir, about 1970, the Dutch cycling modal share never fell below the highest British post-war modal share, experienced in the "golden age" of British cycling in the 1950s, of around 20%. So this does prove that the Dutch never had to rescue their cycling culture from anything like the desperate pit into which the UK's cycling culture has sunk, with its current 1% mode share. This indicates that, in developing the political will in the 1970s and 80s to rejuvenate their cycling culture, to its current 28% national mode share, the Dutch did not have the mountain to climb that UK cycle campaigners currently face. On the other hand, it does not prove that Dutch cycling would not have collapsed in a comparable way to British cycling had the Dutch not taken the policy decision to reverse the slide in the 1970s. 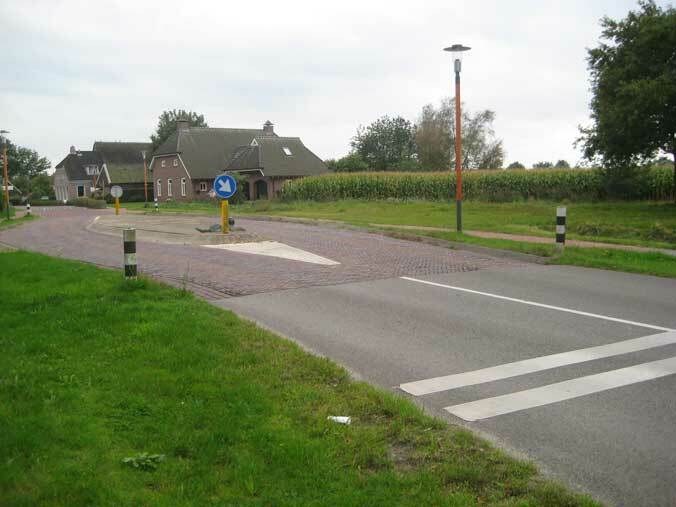 It does not prove that Holland today would not have similar cycling levels to Britain had the Dutch not spent the last 40 years building all this infrastructure that you see in these pictures. The case cannot be proved either way; we cannot re-run history, we cannot do an experiment. But another thing the "history and culture" argument ignores is the fact that the Dutch always had more and better cycle infrastructure – since 1885. So maybe it was always about the cycle paths, plus of course the topography. It is perhaps the case that, in many or most cases, Dutch town planning has indeed been superior to UK planning, and the need to travel longer distances has thus been limited. Possibly. Though I am not really convinced of this, having seen plenty of standard warehouse shed, industrial and road-based urban sprawl in the vicinity of Assen and Groningen just on this short study tour. Overall, the Dutch environment strikes me as remarkably similarly-planned to the British, and I don't see much evidence that the need to travel has been reduced by Dutch statist planning, compared to other Western counties. And, strangely, another critic of this and similar blogs, one Paul, always makes a claim that Dutch cycle infrastructure provision has actually promoted urban sprawl. Assen, certainly, is a very low-density town with a very high cycling rate (44%). Unlike Groningen, which is much denser and has an even higher rate, it is not a university town. 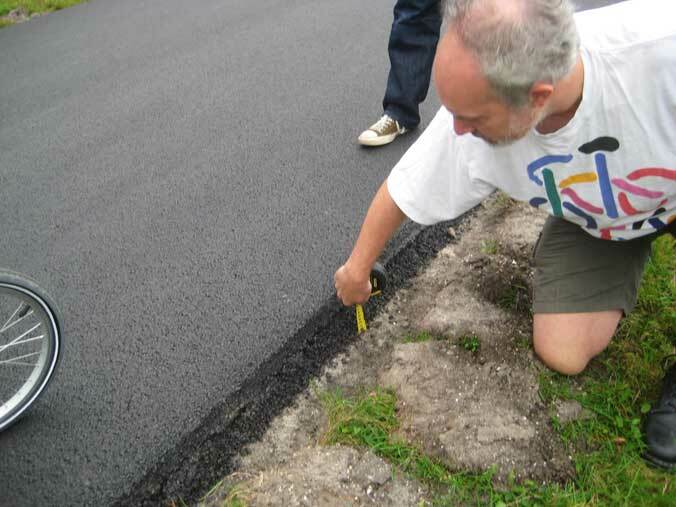 Assen has no visible reason for its high cycling rate apart from the exceptional (even for the Netherlands) quality and quantity of its cycle paths and tracks. And globally, David Hembrow points out that there is no link between population density of cities and cycling rates. 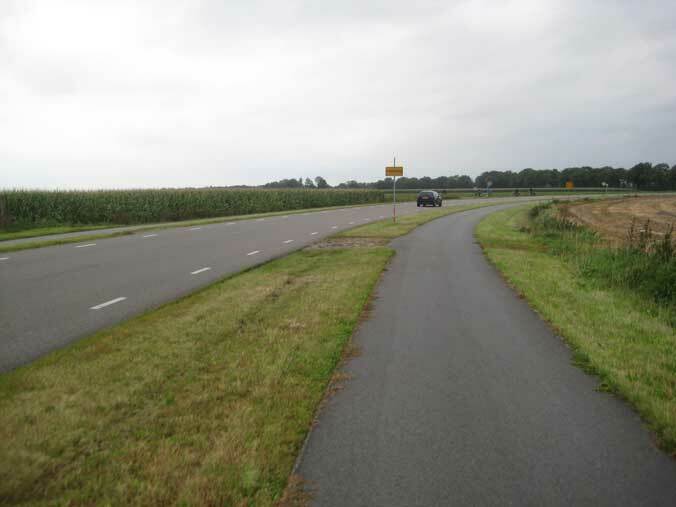 One thing you notice about the Dutch cycle infrastructure, when you experience it, is how easy and pleasant it makes it to cycle rather long distances – certainly longer than the (elsewhere) typically-suggested 6km or 4 mile limit on bike utility. This suggests to me that the Dutch, through the quality of their infrastructure, have actually broken the inverse link my LCC colleague assumes between need to travel longer distances and cycling take-up. Many secondary school children cycle 15–20km to school and back. 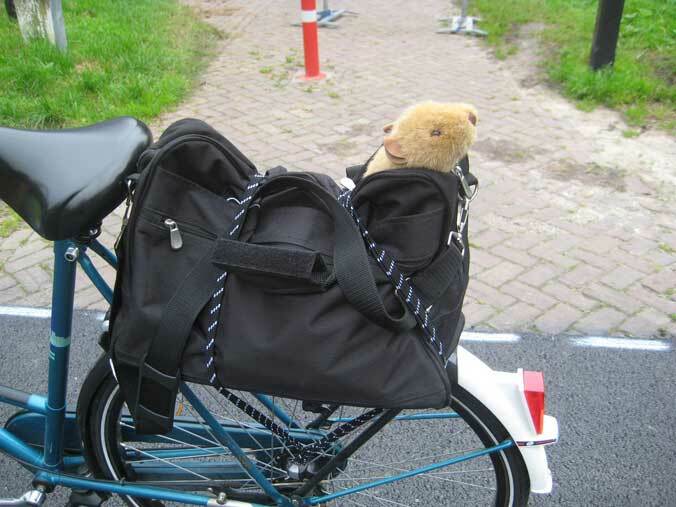 And the Dutch authorities, now convinced that they have most of the possible sub-10km journeys "in the bike bag", are now working on getting people to use the bike for more of the longer journeys. All this planning for cycling doesn't really look as if it has reduced the need to travel very much. Possibly it has even encouraged more travel. Neither is it difficult to travel by car in the Netherlands. I don't quite see why some people invest so much intellectual effort in trying to show that the Dutch cycling success is due to anything but the obvious factor. 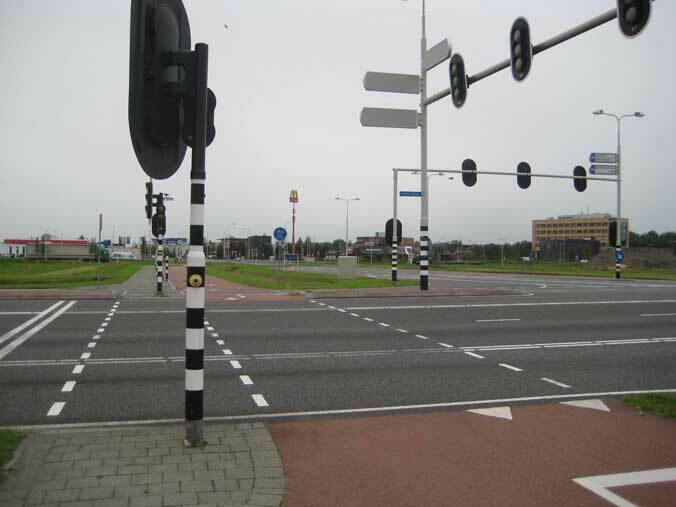 The key difference between the Netherlands and the UK is not planning, it is not distances, it is not need to travel, it is not ease of motoring, it is not motorist behaviour, it is not law, it is not culture, it is not history. It is what you see in these pictures. It is the cycle infrastructure: the vast and comprehensive network of paths, tracks, lanes, bridges and tunnels, that makes everywhere accessible by bike, easily, smoothly and safely. Doubting this is like questioning why Venice has boats rather than cars. Far from there being "no evidence" that the construction of cycle tracks ever increased cycling, it seems to me that every single video ever placed on YouTube of cycling in the Netherlands in traffic-free space is evidence of this. As is the video I made of the cycle track in Torrington Place, London (which my colleague considers has a "disastrously flawed" design). 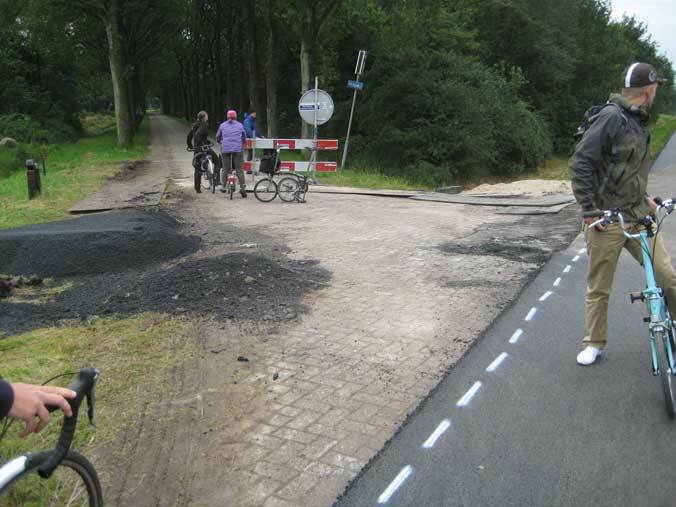 Now, why would such a canny and frugal people as the Dutch keep on lavishing these vast sums on improving their cycle paths and tracks if it were having no effect? The proposition seems intensely improbable and counter-intuitive. I know, as a physicist, that the counter-intuitive can be correct – you need only look at Einstein's relativity. But you need a lot of evidence to show it. Extraordinary claims require extraordinary evidence. Rather than my colleague's improbable logical construction, which probably stems from an a priori dislike of cycle tracks, it seems to me that what David Hembrow says must be right: though cycling never came close to dying out in the Netherlands, the Dutch realised that they had to keep spending money on improving the conditions to maintain and develop what they had, against the onslaught of all the other factors in the modern world (cheapness of cars and petrol, the desire for speed and hypermoblity) that caused cycling to nose-dive in other societies. If you still doubt all this, you need to go and experience it. Saddle up in Holland, and feel it. Don't study the statistics, don't study the history. Just feel how it is for yourself. Experience how safe it feels, how stress-free it feels, how relaxed and wonderful it feels, after cycling in other, less-enlightened nations, and think about how it would affect your travel choices if you lived in that environment, and how you promoted the travel choices of others – your relatives, friends, above all, your children. Think about those mothers and fathers allowing their 8-year old and even younger children to go to school by bike by themselves. 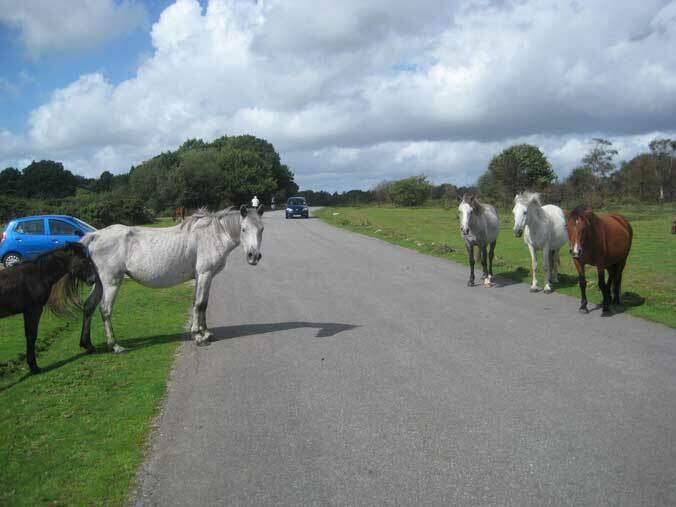 Do you really believe they would do that if it were not for the cycle paths? Do you really believe they would do that if it were not for the almost total separation from threatening motor-traffic interactions that Dutch cyclists enjoy wherever they choose to go? I don't. 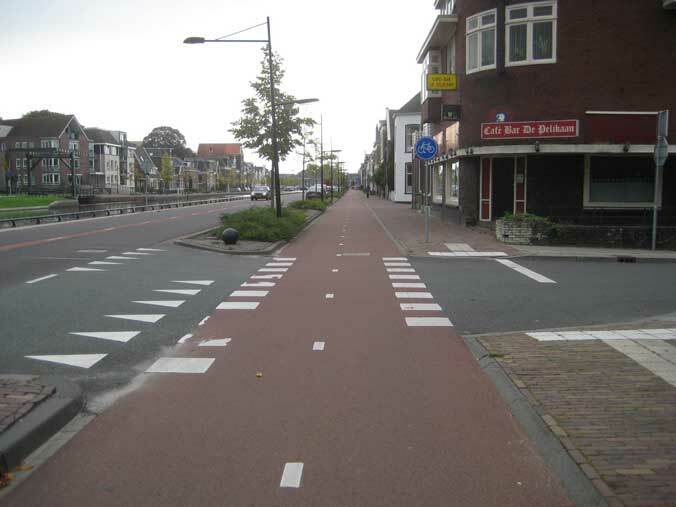 I think the position that the Dutch 28% cycling mode share is not very largely the result of the construction of the segregated cycle infrastructure is manifestly absurd. But perhaps you'll try to persuade me otherwise? 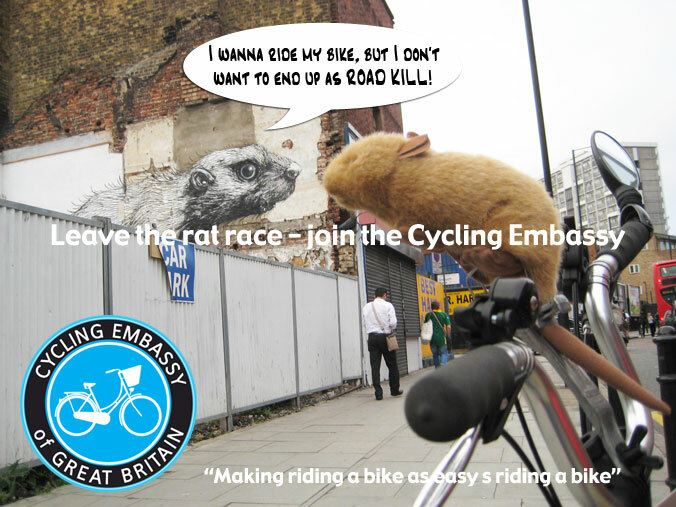 Here's a late reminder about the formal launch tomorrow in London of the Cycling Embassy of Great Britain. I happen to be on the Management Committee of this not yet very august institution. However, it is rapidly becoming more august, with the Embassy of the Kingdom of the Netherlands promising to send a senior representative to the launch, their Head of Public Diplomacy, Press and Culture. In case you don't yet know what it is, the Cycling Embassy is a new national campaign to get proper cycling infrastructure in Britain on the continental model, with the idea of thus moving Britain towards a mass cycling culture. The launch takes place on the south side of Lambeth Bridge with a press call against the backdrop of the Houses of Parliament at 12:00 am. (Gather at 11:30). Smart everyday wear please – as this is a campaign for "everyday" cycling people are discouraged from looking like stereotypical cyclists. There will then be a very short ride across Lambeth Bridge (intended to be a ride on "London's worst cycle lane", but I hear the bridge was resurfaced last night – did the authorities get wind of our plans? 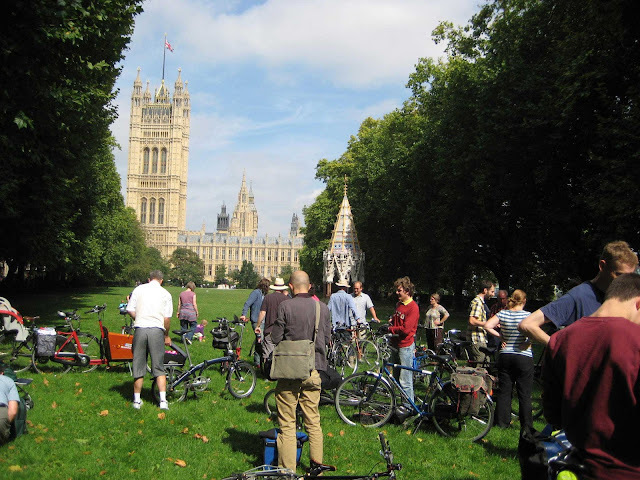 – so the lane may have gone or may have been improved), and then a celebratory picnic in Victoria Tower Gardens. Bring food and drink but not glass or alcohol. This should be a good opportunity to network and meet cyclists from round the country who are interested in the infrastructure issue. 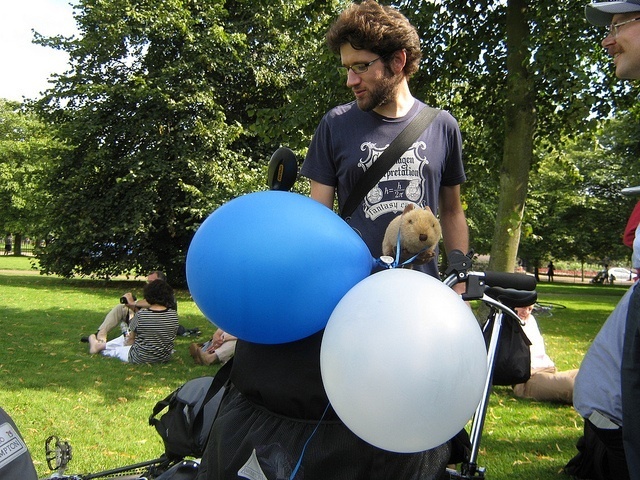 Later there will be an infrastructure safari around the Royal Parks led by Mark Ames of the ibikelondon blog. 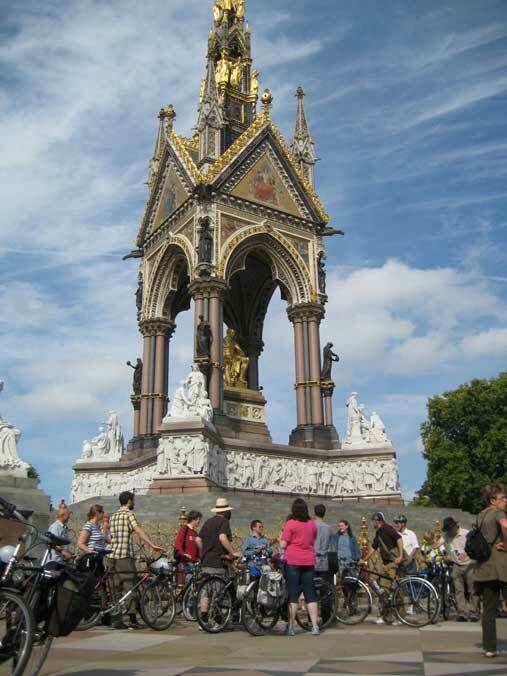 The weather forecast is excellent – it should be warm and sunny – rather better in fact than for Sunday, when it looks like it will rain for the Mayor of London's Skyride. 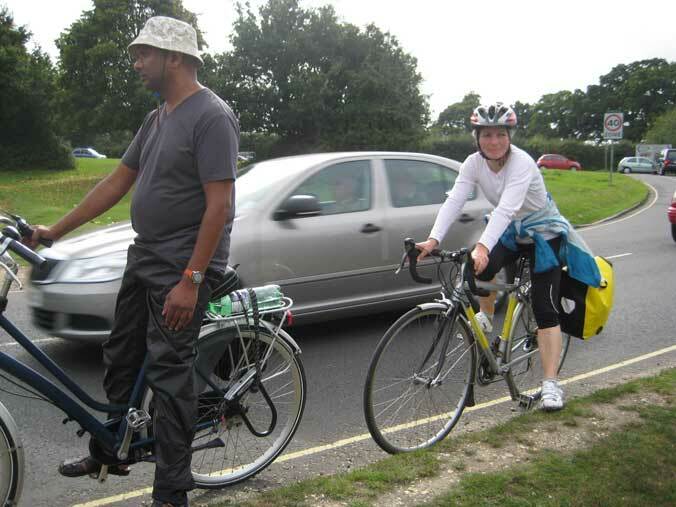 For the Skyride I will be leading a Brent Cyclists ride from Kingsbury Station to St James's Park, starting at 10:00am. All cyclists welcome. The Vole will be in attendance at both these events, and he recently put together a poster for the Cycling Embassy poster competition. He hopes you like it. 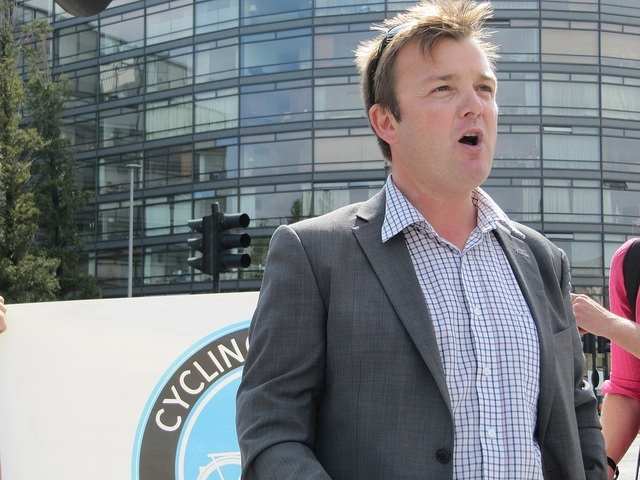 And he hopes that the Cycling Embassy launch will signal a bright new dawn for everyday cycling in the UK.